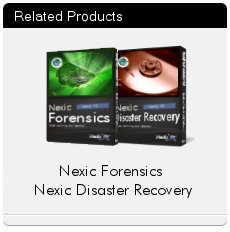 Nexic Discovery combines ease of use with full professional power - searching for archived email is FAST. Accounts can be archived directly from GroupWise using native Novell programming interfaces. Discovery is the fastest archiving product available for GroupWise, which becomes critical when thousands of messages are archived each day. Discovery features a rich Windows archive client that is very similar to the GroupWise Windows client, as well as a Web Access-like web interface for browser access to the archive. When used with the open source Sphinx Search full-text index, Discovery can search very large archives in a matter of seconds, averaging 6-20 seconds per query.